Veteran Classes split all 3 days! 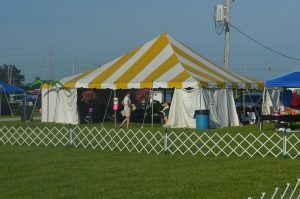 Huge Tent for Vizslas Crating only- Adjacent to our rings- Park by our Tent. Sponsored Luncheon on Saturday, Please bring a little something Refreshing to share. The VCOI and theGSPCI will be having an AKC mock hunt test on Saturday August 4th. It will be at DesPlaines SFWA in Wilmington, Illinois. The event will be held on the East grounds. JR,SR and Master classes will be available. It will be judged like a test to let you know what you would need to pass that level. We will also let you know what you would need to work on. You may pay by check following the instruction on the premium below or by Credit Card or PayPal by adding to the cart below. If you are paying on line, please print and complete the premium below and email to samantha.dumm@att.net. 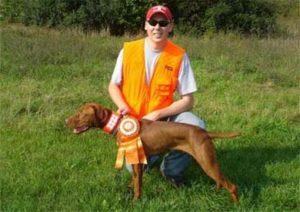 This introductory clinic is designed to inform and instruct All Breed pointing dog owners who have an interest in participating in AKC sanctioned Field Trials. GSPCI has the honor of having a member who has been elected to the Bird Dog Hall of Fame, he will conduct the initial class room instruction and will share his personal experiences of Field Trialing, followed by actual Field instruction and judging by experienced judges. Stakes will be available for dogs at all levels of performance. Please contact Dave Wolfe at boilerboat@gmail.com or 815.806.0071 to reserve your space. $15.00 per dog fee will be charged to cover the cost of birds. This is an opportunity to discuss and learn about Field Trialing and another way to extend your dog’s hunting season. Diaper Derby Un-judged stake for puppies under 6 months old on date of trial. Running time approx. 5-10 minutes. Puppy For puppies 6 to 15 months old on date of trial. Derby For dogs 6-24 months of age. They should be independent, and show adult potential. The dog must point a bird to be placed. Hunting Dog This is an unbroke dog stake. It is to be judged on the dog’s ability to hunt, handle, and point birds and hold them ‘till you are within range. Judgment stops when the bird is flushed. This is for dogs that have NOT placed in an AKC or Amt. Field broke dog stake. Foot Handled Only. Gun Dog For dogs broke to wing and shot. They should show independence, intelligence, and handle with minimal directions from the handler. Foot Handled Only. All-Age or dogs broke to wing and shot. These dogs should hunt to the extremes, show intelligence, and handle reasonably well. Junior Handler For dogs 6 months and up, and handlers 18 years and under. This stake is judged on the handler’s ability to run the dog. 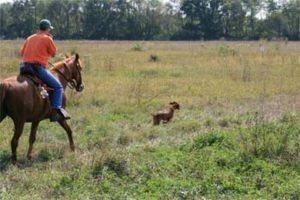 This includes how he or she handles, how well the dog responds, and in general the ability of the junior handler to conduct the elements of running a dog in the field This can be conducted off horseback or foot with no additional credit given for either type of handling. Senior This is an unjudged stake for 10 year or older dog event – a chance to show your senior dogs ability to handle, and point birds. 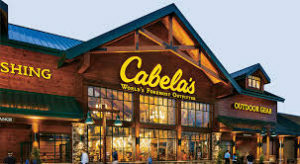 Hearing aids, diapers and tracking collars welcome. Walk Handled Only! We are going to be at the Chicagoland Family Pet Expo March 15,16 and 17th at the Arlington Park Race Track. 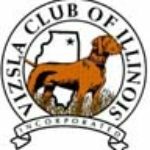 We are looking for volunteers to help promote and educate the public on Vizsla’s . This is a great event to enjoy other breeds of dogs and our very own Vizsla breed. It is a great opportunity to meet many VCOI members, socialize your V and meet other great dog owners too. Please see expo info below and RSVP your spot by Monday March 10th by emailing mchale2080@att.net. 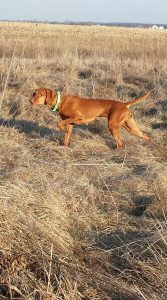 We appreciate all the time and support in promoting the great Vizsla breed. Let’s show other Breeds how we support each other by volunteering and educating to the public what a great dog breed we all own. You may pay by check following the instruction on the premium below or by Credit Card or PayPal by adding to the cart below. If you are paying on line, please print and complete the premium below and email to lepoudreb@gmail.com.